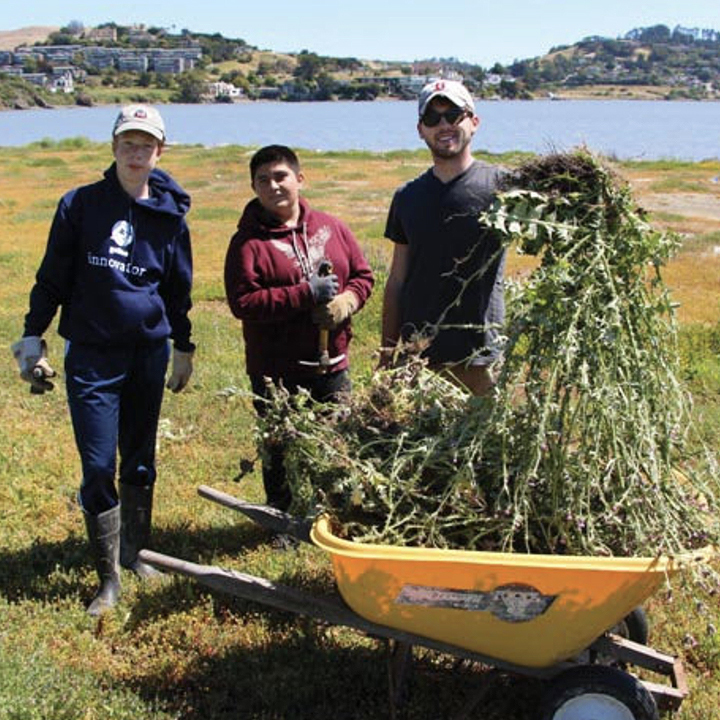 Our partners at Richardson Bay Audubon Center have worked tirelessly to convert this 17-acre island from an eroding, unproductive, bay dredge dumpsite into prime shorebird and wildlife habitat. Join us as we team up with our friends at Audubon to help them in the enhancement process. Transportation to the island is provided by Richardson Bay Audubon. Volunteer work is mildly strenuous and involves bending, pulling, and kneeling. Recommended for ages 12 and up; anyone under the age of 18 must be accompanied by a supervising adult. Dress in layers you can get dirty, wear sturdy shoes, and bring water and snacks. Please bring gloves if you have them. In the event of heavy rain and/or high winds call (415) 763-2977 to find out about event status. In the event of cancellation, program will be rescheduled. RSVP required; due to the capacity of the boat, space is limited to 10 volunteers. Questions or to RSVP: Contact Fabiola Torres at ftorres@audubon.org or(415) 388-2524 ext. 109. Directions: From Hwy 101 in Mill Valley, take the exit for Tiburon Blvd (Hwy 131). Take Tiburon Blvd east for 1 mile. Turn right onto Greenwood Cove Dr. Greenwood Cove becomes Greenwood Beach Rd. Parking is in gravel pullouts on the right side of the road.